The Paris Agreement on Climate sets the international objective to keep climate warming well below two degrees, and « to reach global peaking of greenhouse gas emissions as soon as possible … and to undertake rapid reductions thereafter in accordance with best available science…to achieve a balance between anthropogenic emissions by sources and removals by sinks of greenhouse gases in the second half of this century ». This herculean challenge will require to transform current research infrastructures to monitor progress towards this goal. 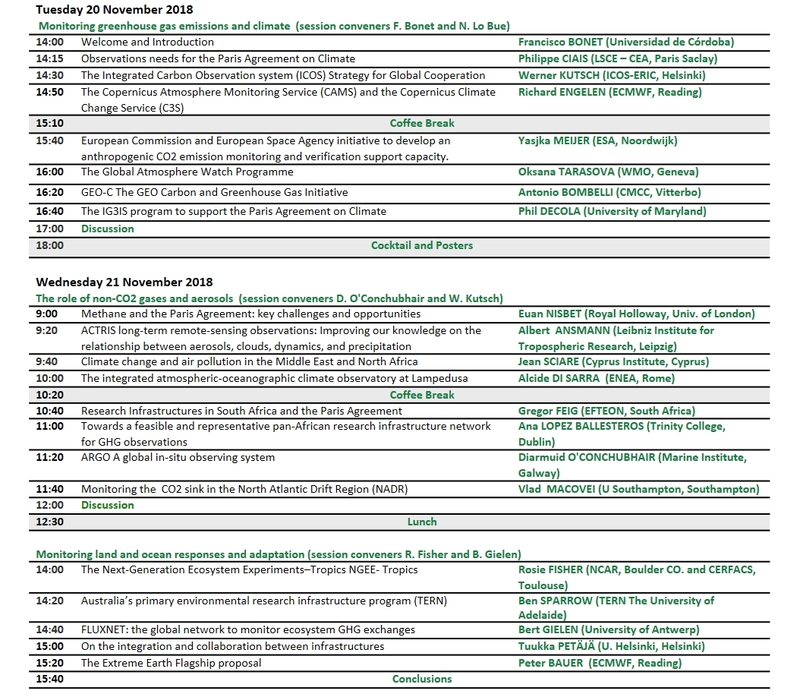 Key policy-relevant challenges posed to current research infrastructure to monitor the effectiveness of policy decisions from the Paris Agreement on Climate are 1) the quantification of anthropogenic greenhouse gas emissions using atmospheric observations and models, 2) provide robust observations of changes in carbon storage and greenhouse gas emissions over the oceans, and from natural and cultivated systems, 3) provide science-based evidence on the resilience of marine and terrestrial ecosystems to climate change and adaptation strategies, the latter including not greenhouse gas balance related functions but also other ecoystem services, such as biodiversity and water conservation. 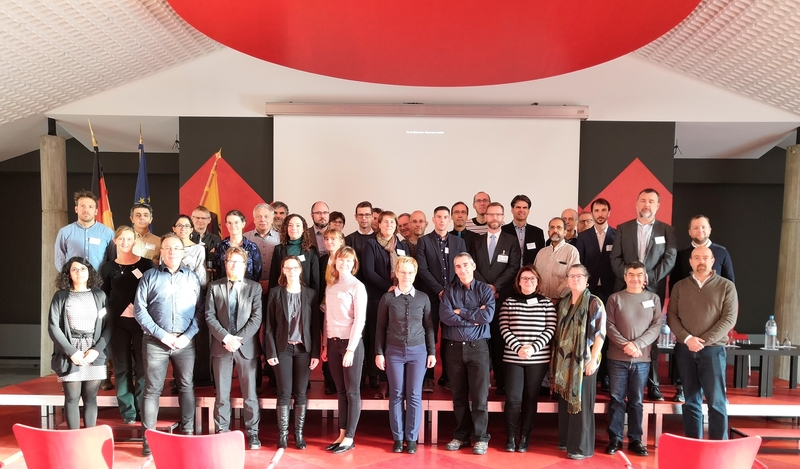 Addressing these global challenges will require international collaboration between research infrastructures in different regions, efficient data sharing and cooperation mechanisms. 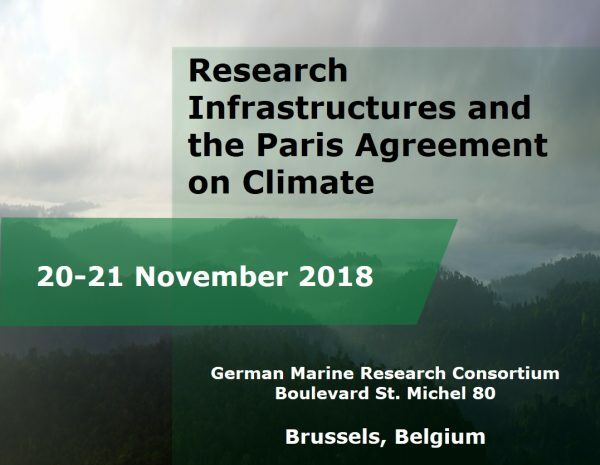 The conference organized by COOP+ in Belgium (20-21 November 2018) will gather relevant research infrastructures in Europe and other countries, research and policy communities to identify gaps and needs for research infrastructures to deliver the best available science in support of the Paris Agreement on Climate. We will publish the programme this afternoon. I will add my email as contact.